Wakefield Police are to partner with the Post Office this June to give residents a ‘first class’ chance to engage with local officers. PCSO’s across Wakefield District are to ‘adopt’ a local Post Office as part of a new initiative to give residents more opportunities to see their local officers in familiar settings. It will launch at the main post office on Northgate in Wakefield at 11.30am on Wednesday 8th June. 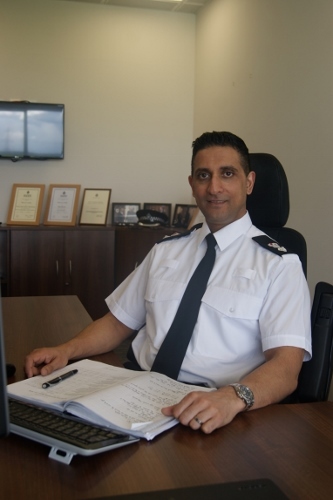 Chief Superintendent Mabs Hussain, District Commander of Wakefield District Police, said: “As a policing service we are always keen to make the best of any opportunities to improve engagement with residents, and are very pleased to be working with the Post Office on this new initiative. “Post Offices are key community hubs which residents, particularly the elderly and vulnerable, regularly visit. “This makes them ideal places for officers to interact with the public and provides us with additional opportunities to make ourselves more accessible to those who may need our services the most. He added: “Our officers will be on hand at the busiest times of day to offer crime prevention and security advice and have a general chat with visitors who want to speak with them. Senior Post Office Security Manager Amy Quirk said: “We are always looking to create new partnerships with the police which will benefit not just our two organisations, but the community as a whole. West Yorkshire’s Police and Crime Commissioner, Mark Burns-Williamson said: “This new initiative has my full support. It’s incredibly important that the police are accessible to all the communities of West Yorkshire.